Had to share this one…not sure if I like the photo or the description better! 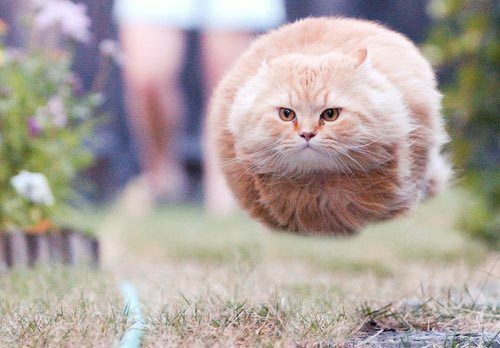 This picture was taken just before Hoverball Cat took off at supersonic speed. It sounded like a whistle and a scream and the ground caught fire. I had to post this. This guys spends his days just a few blocks down from my office here in downtown Denver shining shoes and hollering. I’d be willing to be that if you’re a regular down here, you’ve been on the receiving end of some comment. I have, and have been there when co-workers have. The fact that this dude is broke, homeless and living on the street doesn’t keep him from making fun of everyone else.